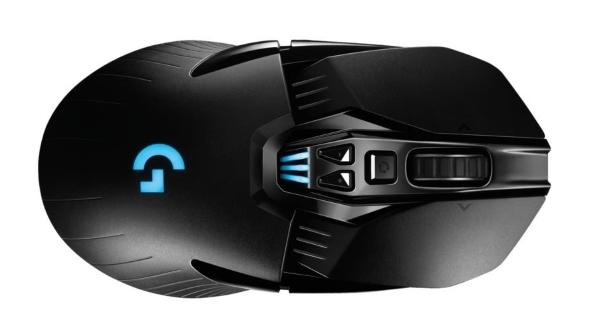 Logitech have thankfully ditched their bizarre sub-naming scheme for their gaming mice, which means the Logitech G903 is just that. It’s no Chaos Spectrum, no Hyperion Fury, and no Hephaestus Chisel – it’s just a simple name attached to a stunningly good mouse. Check out our pick for the best gaming mouse you can buy right now. 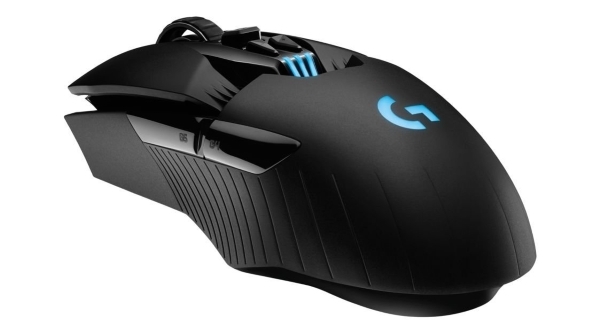 But, to be fair that’s not really an unexpected turn of events, because the G903 is just an updated version of the already pretty bloody outstanding Logitech G900 mouse. As such you’re getting a smart, ambidextrous, wireless gaming rodent with one of the best gaming sensors on the market – the Logi-tweaked PixArt PMW3366. That means you get a maximum sensitivity of 12,000DPI, but don’t scoff at that super-high figure. That’s not like a motorway speed limit, like some sort of target, you’re never going to want to run the G903 at that sort of sensitivity – you’d fling the mouse cursor off the screen if you even though about twitching a digit its way. No, that serious sensitivity shows the precision that the optical sensor can offer. And, because it’s optical as opposed to a laser sensor there’s no artificial smoothing or acceleration added into the mix – it’s all 1:1 tracking, as Zeus intended. So, what does the G903 bring to the table that it’s older G900 sibling didn’t? In one intercapped word, PowerPlay. The G903 is compatible with Logitech’s wireless charging system and that brings with it the option to never have to charge your wireless mouse ever again. Okay, that’s not entirely true… okay, in fact it’s actually the complete opposite… the G903 is always charging if you’re rocking the PowerPlay feature. The Logitech PowerPlay system means having to drop a PowerCore puck into the space in the base of the G903 where the extra mouse weights used to live. And having to spend around $100 (£110) on a charging mousemat too. The PowerPlay mousemat houses a trickle charging system that uses electromagnetic resonance to create an energy field around it, which has enough charge in it to keep topping up your wireless mouse, even while you game. That’s in stark contrast to the Qi Charging used by rivals Corsair in their Dark Core RGB mouse. Corsair’s solution is able to deliver far more power to your mouse, and therefore charge it much quicker, but you can’t move it while you’re charging. Like, at all. In fact when we tried it the charging system was a little tricky to get going. With the G903 and PowerPlay, however, the mouse will continue to charge even when you’re throwing it around in a frenetic game of Overwatch. And, because it’s always charging, you never have to go out of your way to charge it. The difficulty is that for the full package it costs a huge amount, and that can be quite the barrier to entry. 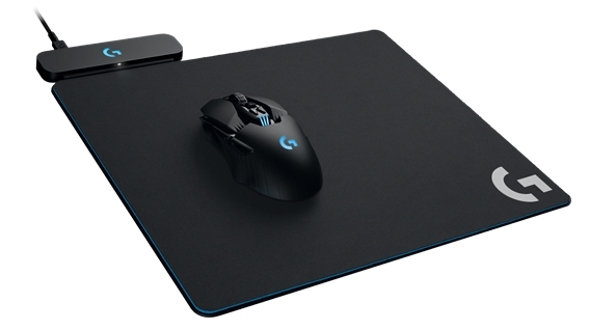 The G903 on its own costs $117 (£100) and then you’ve got to spend pretty much the same again for the PowerPlay charging mousemat. Over $200 for a mouse and pad is a lot to ask.